Your the owner of a landscaping company and you need to find an easier way to bill and manage your customers. Why not let Paycadence help your landscaping business accept payments? Matt and Lisa are the owners of a family run landscaping and lawncare company, Mickle's Landscaping. 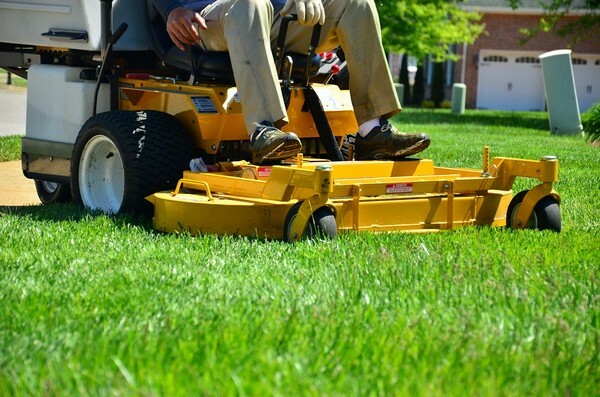 They have a large client base and handle everything from regular lawncare and maintenance to large scale landscaping installations. Their customer's love them and so through word of mouth they have an ever growing customer base. Mickle's takes on several projects each month. For most projects Mickle's requires a down payment from their client in order to start working on the job. After the client approves Mickle's's estimate for a project, he uses Paycadence to send their client an invoice for the amount of the deposit. The client receives an email with the amount they owe and a custom note from Mickle's. When the client is ready to make the down payment, they click a link in their email which takes them to a secure invoice payment form hosted on Paycadence. If it is a new client for Mickle's, they enter their credit card number in a secure and mobile friendly form and then click the pay button. If they are one of Mickle's's previous clients, their saved card info is already available as a payment option so that they don't have to spend time finding their wallet and retyping their card information. In either case the payment is securely processed by Paycadence via Stripe. The customer then receives an emailed receipt from Paycadence and Mickle's can see that the invoice is paid and can go ahead and start the client's project. For some clients with larger Projects, Mickle's puts them on a payment plan. Plans are completely customizable anywhere from daily to annually and everything in between. Mickle's can either sign their client up for the plan himself, or create a custom sign up form in Paycadence and send the link to their client for them to sign up on their own. Once their customer is on a payment plan, their payment method will be automatically charged on each of the chosen interval dates. Mickle's can setup simple retry logic so that failed charge attempts are attempted again later. Mickle's can also look in their Paycadence account and filter their recurring payments based on status. That will allow then to easily see if any of their clients are behind on their payments. Paycadence's recurring payment system works out great for Mickle's, especially since a large portion of their residual income comes from offering payment plans to their customers. Mickle's offers monthly, quarterly, and yearly plans and is able to manage all of them through Paycadence. Sometimes Mickle's needs to collect payments on site. That is no problem for Mickle's. He uses a USB Card Swiper to run the customer's card while they are sitting across the desk from them. After they runs the card, the info is added directly to the payment form, then they just click a button to finalize the payment.